Logan City Shopping Centre, take the Wembley Road entrance. New Store Open! – Our renovation and expansion is done. We are open, and are bigger and better than ever. 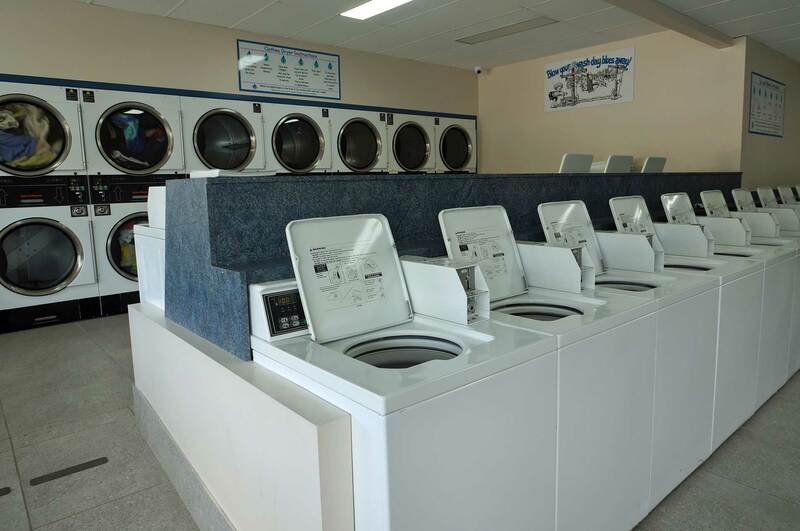 In fact, the largest and best equipped Laundromat in Queensland. We have 10 front load washers, 20 top load washers, 16 dryers. 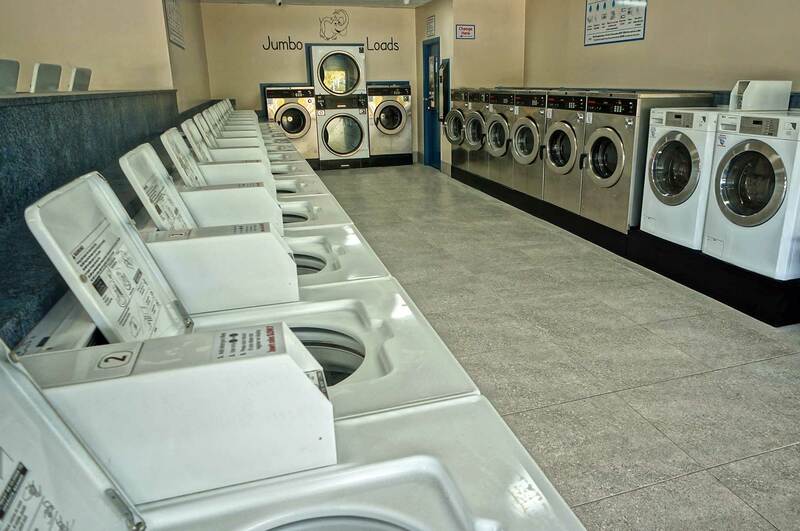 Check out the new Jumbo Load Section, with huge 18kg washers and matching dryers. Mega Front load washers – 10 machines – Ranging from 10 to 18kgs for large loads – blankets, curtains, doonas and much more. Price: $6.00 , $8.00 or $10.00 per load. Double load gas dryers – 16 machines available from 14 to 20 kg. Price: $1.00 per 7 minutes. It costs about $3-$5.00 to dry the average load. 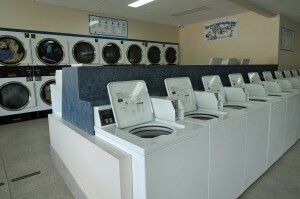 All dryers accept $1.00 and $2.00 coins. Soap powder is available for purchase, or you’re welcome to bring your own. Price: $1.00 per packet, which will wash 2 loads. Coins required for coin laundry operation are $2.00 or $1.00. There is a change machine in the shop for your convenience.